It is very difficult to explain why humans can't get enough of music. Some people have even said that they cannot live without music. That is why the music industry is a multibillion dollar venture. No matter what your taste in music might be, you will still appreciate listening to your favorite song over the radio or through headphones. With that in mind, those who want to get closer to the music as possible will invest in a good set of headphones. If you're willing to spend up to three hundred dollars, you will get the best headphone sound quality for your investment. When you think that cheaper headphones that can be purchased for $50 give decent sounds, what will you expect when you spend more money? Below is a list of headphones under $300 in 2013 worth looking into. Noise isolation has been very popular in headphones and earbuds these days. Simply because people want to hear the true clarity of music without being ruined by any external sound. 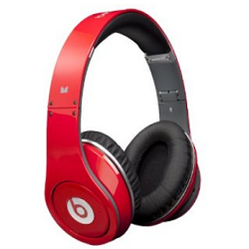 That said, Beats has developed so many headphones that are enjoyed by many. This Monster DNA headphones has been incorporated with advanced noise isolation to give you nothing but every bit of sound coming from your favorite music. What most people like about the set is the sound quality and the comfort combined in one product. You get enough decibels to wake up the dead. It comes with dual audio ports, customizable look, and has been reinforced with tough materials so that it can withstand anything that may cause it to break. 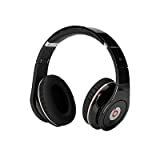 The dual ports allows you to share your music with others especially if your watching movies, you can share the experience with them via the ports on this top rated headphone from Beats. If you are into popular music, you will know who Dr. Dre is. This is not the type of doctor you will meet at your local hospital but you might encounter him at the Music Awards. Well, this is a black set that will snug your ears and pump the music where you love it the most. The discreet design is good for those who want to walk around incognito. It features noise cancelling which will be an added bonus. The headphones most know has been built with binaural feature which is another way of saying, you will experience 3D sound like when an helicopter flies over and you get the sensation that the sound is coming from one side of your brain and fades away to the other side. Most retailers, Amazon, Target and Best Buy sell these set of headphones for $299. When you have a big name like Miles Davis on a musical project, you will want to take note and see what the fuss is about. 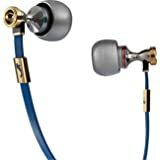 When you take a look at these high-performance in-ear headphones, you will quickly notice that care has been taken to make the design really appealing. It almost feels like you're wearing jewelry. The controls are really a work of art. You might quickly forget why you wanted your headphones in the first place when you look at the way this little piece of electronics is crafted. That said, you get great ear buds that are designed to isolate noise and give you good quality sound. The design of this product mimics aviator headphones. It is designed with comfort in mind and it can be easily adjusted to fit different head sizes. The gold-plated stereo Jack comes with multiple adapters that will allow you to connect your headphones to your TV, iPod, USB music stick and more. These headphones are black with silver trimmings that are stylish designed for visual appeal. They used to cost more but now you can purchase yours for as little as $280. Ignore the price shown, it's is way lower when you get to Amazon! 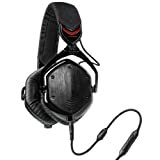 This headphone from V-Moda was rated 5 stars by Amazon customer reviewers. Its award winning M-class output has been fine tuned by audiophile experts to provide crisp-clear sound for music and movies. Features a patented 50 mm dual diaphragm drivers which divides the three basic elements of sound, low, high, and mid. The clean low-bass sound and the crisp of highs was perfected by experts and editors that all agree in the preference set to this product. Ergonomically comfortable, easy to pack and very durable made possible by its CliqFold hinge and steelflex headband. Its like having the best audiophile headphones under 300 dollars all in one pack. From the makers of producing quality sound, Bose released QuietComfort to their top rated product line. 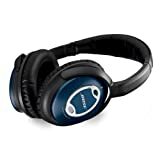 Being rated 4 and a half stars by 780 reviewers on Amazon, it is one of Bose's best noise cancelling headphones to date. For just under $300 you can enjoy your favorite music and movies like never before with lifelike sound output produced by these headphones. It features a more comfortable fit around the ear which favors for people on the go. This pack includes cable, remote control, and hands-free calling mic for Apple products and many mobile devices. 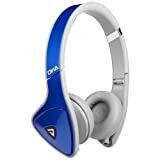 These are one of the best on the go headphones for frequent travelers since they are not bulky and can fit anywhere from your regular hand carry bag.